Turkish authorities have detained and charged two journalists and an academic with spreading “terror propaganda” after the group took part in a solidarity campaign supporting a pro-Kurdish publication. In May, the detainees participated in a solidarity campaign made in support of a pro-Kurdish publication Ozgur Gundem, which involved working as a chief editor of the newspaper for a day. The media outlet has been subject to government oppression on a number of occasions and was targeted for having close ties with the Kurdistan Workers’ Party (PKK). The court ordered that the group be arrested after they testified before the public prosecutor with the state judiciary's Terrorism and Organized Crimes Bureau. “This is another dark day for media freedom in Turkey,” said Johann Bihr, the head of RSF's Eastern Europe and Central Asia desk, in a statement. Saying it was “appalled” by the court’s decision, the Organization for Security and Cooperation in Europe (OSCE) called for the group’s release. 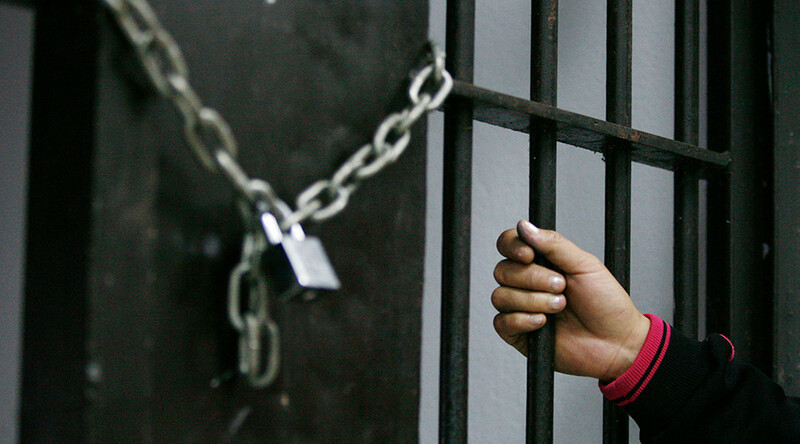 “The authorities should drop the charges and stop using imprisonment as a way to fight differing voices,” said Dunja Mijatovic, the OSCE media freedom representative, in a statement. “The detention of OnderoGlu, Nesin and Fincancı, is the latest warning that objective reporting is under severe attack in Turkey,” Mijatovic said. US-based watchdog organization Freedom House slammed Turkish legislation saying that the EU should not put a blind eye to Ankara’s violations of freedom of speech. “Imprisoning journalists and human rights defenders for ‘terror propaganda’ shows just how vague and overly broad Turkey’s laws are,” said Executive Vice President Daniel Calingaert. “This decision is a stark reminder to the European Union that it should not compromise on its values in negotiations with Turkey over visa liberalization. The EU should stand firm against the Turkish state’s abuse of the law to silence critical voices”. — Mahir Zeynalov (@MahirZeynalov) 20 июня 2016 г. 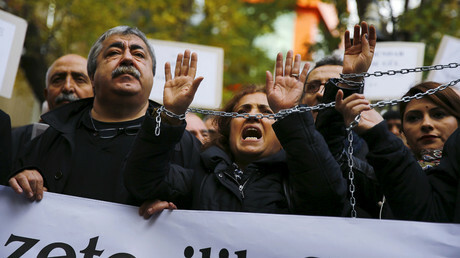 Some 100 people held a rally in support of the three detainees outside the court in Istanbul. Later on Monday the United Nations Correspondents Association claimed that one of its members, Razi Canikligil, who is also a writer for Turkish Hurriyet daily, was also held by authorities for the articles and tweets he wrote. Erdogan’s government has been clamping down on a number of Turkish media outlets and filing lawsuits against journalists and academics who have been critical of his policies. In April, prominent Turkish journalist Hamza Aktan was detained and questioned over pro-Kurdish tweets he posted and reposted in 2015. Last month two journalists at the opposition Cumhuriyet newspaper were sentenced to over five years in jail for exposing "state secrets." Foreign journalists have not been an exception, also being arrested or denied entry by Turkish authorities. 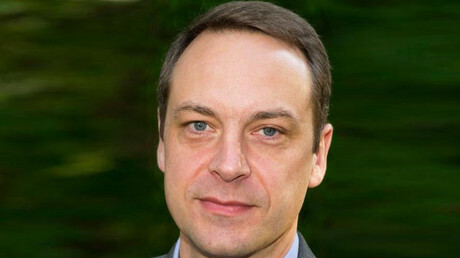 For instance, in April, Ankara refused entry to a German TV journalist Volker Schwenck who was going to the Turkish-Syrian border to report on refugees. The same month Dutch-Turkish journalist Ebru Umar was briefly detained for tweeting critical comments. In total, several thousand people including journalists, academics and opposition politicians are said to have been prosecuted for criticizing or allegedly insulting Erdogan. The crackdown on journalists in Turkey, which RSF ranks 151st out of 180 countries in its latest World Press Freedom Index for 2016, has been criticized by the international community and organizations such the UN and EU. The refugee-deal signed in March by Turkey and the EU stipulated that Ankara would help resolve the migrant crisis in exchange for a visa-free-travel and additional funding from the bloc. However, in order to obtain free passage to Europe, Turkey has yet to meet all requirements including making changes to its legislation on freedom of speech. Despite of calls from EU to reconsider its policies, Ankara refuses to review its laws, claiming they are aimed at fighting terrorism.